With text courtesy of the Atlantic Monthly, “As We May Think,” by Vannevar Bush, © 1945. 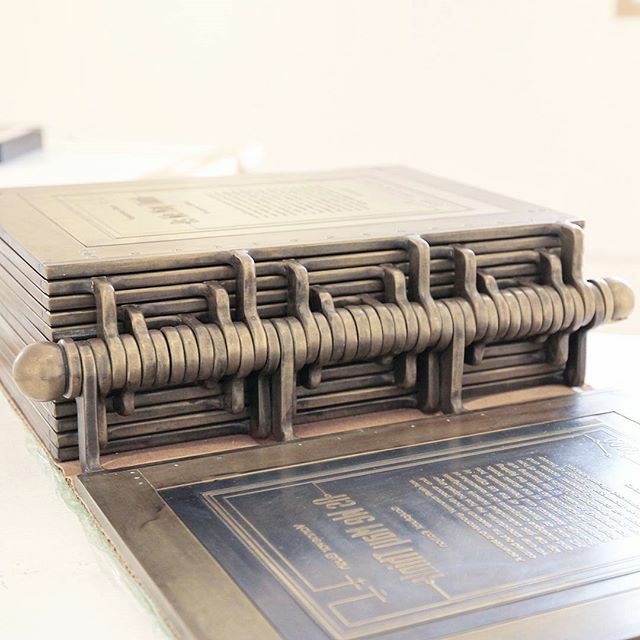 Self-Printing Book is a monument to the printed word. 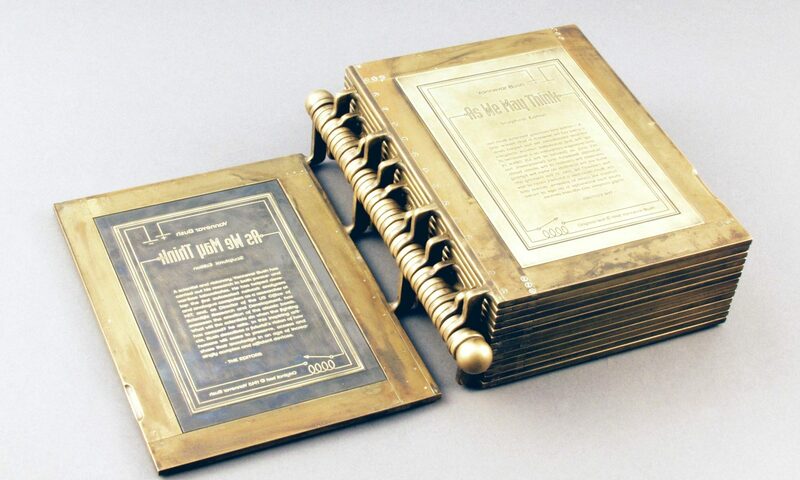 Each two-page spread of text is a mould of the other, the right side being the printed readable page, the left being the reversed print block side. 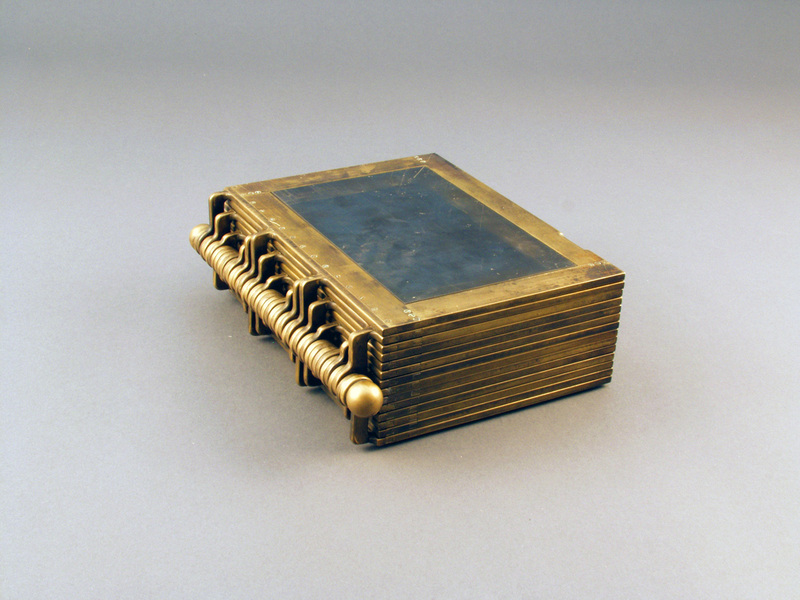 As the viewer turns the page, the book appears to print itself.